Losing a loved one is always a difficult event to process, and the time it takes to transition through the natural grief process is different for everyone. Part of the difficulty comes from the demands of arranging the funeral and sorting out the legal aspects for gaining access to funds to cover last minute expenses. Thoughts of any estate plan the deceased might have established are not necessarily on the forefront of people’s minds during the first days after the death. However, once the spike of emotions that culminates with the funeral calms down, people are bound to begin asking how property and money will be divided. Unfortunately, fights over inheritances tend to be particularly ugly, and risk tearing a family apart permanently. While there is no way to guarantee relatives will accept the plan a person has for his/her assets after death, there are steps one can take to minimize the possibility of legal disputes and preserve family harmony. The first and most important step in preventing family disputes is to prepare and execute a will that clearly outlines how property and liquid assets should be distributed. This document should remove any doubt about which family members are supposed to receive particular items left by the deceased. 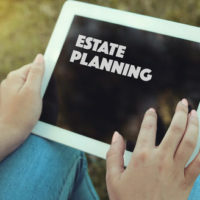 Dying without a will leaves the division of one’s assets to the preferences outlined in state intestacy laws, which may not reflect what the person really wanted. People often avoid executing a will as a means of distracting themselves from the thought of death, and presume that a spouse will inherit everything anyhow. While spouses are designated to inherit the entire estate in some circumstances, this is not always the case. Having a will removes any chance other family members could get a share of an estate against the deceased’s wishes. In addition, just as important as creating a will is the need for diligence about updating it as life circumstances change. Births, deaths, marriages and property acquisition are all events that may necessitate a review and update of existing estate plans. Fighting over an inheritance usually comes from family members left out of a will. The accidental omission of a rightful heir, such as a child, typically will allow that heir to sue for the share of an estate, but those intentionally omitted are very unlikely to successfully challenge the terms of a will. To make it clear which family members a person purposely excluded from a will, the name of each individual should be specifically listed within the will document. By including this provision, family members can no longer make the argument their exclusion from the will was accidental, and challenging the terms of the will becomes that much harder. Lastly, nothing is more prone to inciting disputes than leaving shocking revelations in a will. Doing so will invite relatives to claim the statements are untrue or suggest the will could be fraudulent. Letting a few family members know about the contents, or at the very least an executor or attorney, will allow someone to vouch for the veracity of the document and potentially dissuade relatives from taking their grievances to court. Creating an estate plan that reflects your wishes and protects the financial security of your family should be approached with serious consideration. Trust and estate attorneys can help you choose the best plan for your circumstances, and give you peace of mind about the future once you are gone. The Tampa law firm of Bubley & Bubley, P.A. has the experience to advise clients on the benefits and drawbacks of all legal options so you can make an informed decision about your estate plan. Contact us for a free consultation.